Burgundy is a region in the Middle east of France that is famous throughout the world for its amazing wines. Wines from Burgundy have a long history dating back to the second century AD, even though some historians believe that the celts grew vines long before the roman invasion! Burgundy can be described as the most terroir oriented region in France. To the contrary of Bordeaux’s classifications which are Producer-driven, Burgundy classifications are geographically focused. Indeed the region contains nearly 29,500 hectares of vines in production! It includes 4.300 domains, all no bigger than 10 ha. The Burgundy region runs from Auxerre in the north to Lyon in the south. 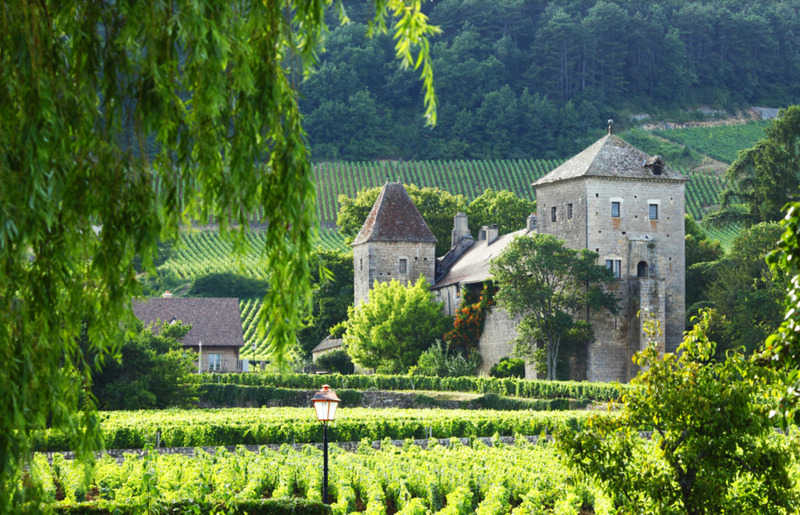 Burgundy vineyards cover 5 great flagship regions of production. The five regions are Cote de Nuit, Cote de Beaune, Mâconnais, Beaujolais and the Chablis region. The Côte d'Or originates Burgundy’s most famous –and most expensive- wines. Cote de Nuit wines are characterized as womanly wines, lighter and more elegant, with the slight exception of Gevrey Chambertin. Cote de Beaune wines, on the other hand, is described as manly, with a stronger structure.